15m underneath Léa and the blue path, on a long boulder. Direct problem in the pillar in the middle of the traverse of It's a Game. Access : from the parking lot, take La Route du Languedoc towards the plateau and continue on it for 800m after La Grotte Béatrix up to the intersection with the blue path. 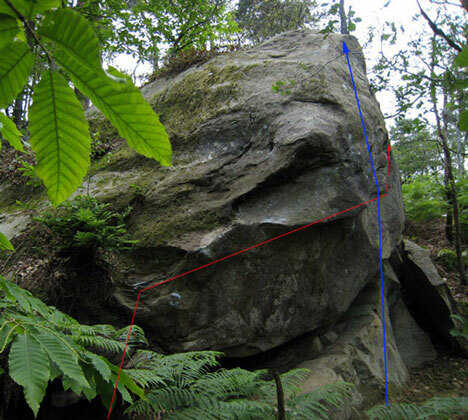 Follow that one down the slope : the problem is 15m underneath an evident wall, before the boulder marked "D".